8.2: The ‘theology of the whole people of God’; the theology and rites of ordination; gender and ministry. In our second session this morning, we are looking at ordained ministry within the context of the ministry of the whole people of God, and then looking at the rites of ordination, and some contemporary questions about ordination, including gender and sexuality. 4 Διαιρέσεις δὲ χαρισμάτων εἰσίν, τὸ δὲ αὐτὸ πνεῦμα: 5 καὶ διαιρέσεις διακονιῶν εἰσιν, καὶ ὁ αὐτὸς κύριος: 6 καὶ διαιρέσεις ἐνεργημάτων εἰσίν, ὁ δὲ αὐτὸς θεός, ὁ ἐνεργῶν τὰ πάντα ἐν πᾶσιν. 7 ἑκάστῳ δὲ δίδοται ἡ φανέρωσις τοῦ πνεύματος πρὸς τὸ συμφέρον. 8 ᾧ μὲν γὰρ διὰ τοῦ πνεύματος δίδοται λόγος σοφίας, ἄλλῳ δὲ λόγος γνώσεως κατὰ τὸ αὐτὸ πνεῦμα, 9 ἑτέρῳ πίστις ἐν τῷ αὐτῷ πνεύματι, ἄλλῳ δὲ χαρίσματα ἰαμάτων ἐν τῷ ἑνὶ πνεύματι, 10 ἄλλῳ δὲ ἐνεργήματα δυνάμεων, ἄλλῳ [δὲ] προφητεία, ἄλλῳ [δὲ] διακρίσεις πνευμάτων, ἑτέρῳ γένη γλωσσῶν, ἄλλῳ δὲ ἑρμηνεία γλωσσῶν: 11 πάντα δὲ ταῦτα ἐνεργεῖ τὸ ἓν καὶ τὸ αὐτὸ πνεῦμα, διαιροῦν ἰδίᾳ ἑκάστῳ καθὼς βούλεται. 12 Καθάπερ γὰρ τὸ σῶμα ἕν ἐστιν καὶ μέλη πολλὰ ἔχει, πάντα δὲ τὰ μέλη τοῦ σώματος πολλὰ ὄντα ἕν ἐστιν σῶμα, οὕτως καὶ ὁ Χριστός: 13 καὶ γὰρ ἐν ἑνὶ πνεύματι ἡμεῖς πάντες εἰς ἓν σῶμα ἐβαπτίσθημεν, εἴτε Ἰουδαῖοι εἴτε Ελληνες, εἴτε δοῦλοι εἴτε ἐλεύθεροι, καὶ πάντες ἓν πνεῦμα ἐποτίσθημεν. 14 καὶ γὰρ τὸ σῶμα οὐκ ἔστιν ἓν μέλος ἀλλὰ πολλά. 15 ἐὰν εἴπῃ ὁ πούς, Οτι οὐκ εἰμὶ χείρ, οὐκ εἰμὶ ἐκ τοῦ σώματος, οὐ παρὰ τοῦτο οὐκ ἔστιν ἐκ τοῦ σώματος: 16 καὶ ἐὰν εἴπῃ τὸ οὖς, Οτι οὐκ εἰμὶ ὀφθαλμός, οὐκ εἰμὶ ἐκ τοῦ σώματος, οὐ παρὰ τοῦτο οὐκ ἔστιν ἐκ τοῦ σώματος: 17 εἰ ὅλον τὸ σῶμα ὀφθαλμός, ποῦ ἡ ἀκοή; εἰ ὅλον ἀκοή, ποῦ ἡ ὄσφρησις; 18 νυνὶ δὲ ὁ θεὸς ἔθετο τὰ μέλη, ἓν ἕκαστον αὐτῶν, ἐν τῷ σώματι καθὼς ἠθέλησεν. 19 εἰ δὲ ἦν τὰ πάντα ἓν μέλος, ποῦ τὸ σῶμα; 20 νῦν δὲ πολλὰ μὲν μέλη, ἓν δὲ σῶμα. 21 οὐ δύναται δὲ ὁ ὀφθαλμὸς εἰπεῖν τῇ χειρί, Χρείαν σου οὐκ ἔχω, ἢ πάλιν ἡ κεφαλὴ τοῖς ποσίν, Χρείαν ὑμῶν οὐκ ἔχω: 22 ἀλλὰ πολλῷ μᾶλλον τὰ δοκοῦντα μέλη τοῦ σώματος ἀσθενέστερα ὑπάρχειν ἀναγκαῖά ἐστιν, 23 καὶ ἃ δοκοῦμεν ἀτιμότερα εἶναι τοῦ σώματος, τούτοις τιμὴν περισσοτέραν περιτίθεμεν, καὶ τὰ ἀσχήμονα ἡμῶν εὐσχημοσύνην περισσοτέραν ἔχει, 24 τὰ δὲ εὐσχήμονα ἡμῶν οὐ χρείαν ἔχει. ἀλλὰ ὁ θεὸς συνεκέρασεν τὸ σῶμα, τῷ ὑστερουμένῳ περισσοτέραν δοὺς τιμήν, 25 ἵνα μὴ ᾖ σχίσμα ἐν τῷ σώματι, ἀλλὰ τὸ αὐτὸ ὑπὲρ ἀλλήλων μεριμνῶσιν τὰ μέλη. 26 καὶ εἴτε πάσχει ἓν μέλος, συμπάσχει πάντα τὰ μέλη: εἴτε δοξάζεται [ἓν] μέλος, συγχαίρει πάντα τὰ μέλη. 27 Ὑμεῖς δέ ἐστε σῶμα Χριστοῦ καὶ μέλη ἐκ μέρους. 28 καὶ οὓς μὲν ἔθετο ὁ θεὸς ἐν τῇ ἐκκλησίᾳ πρῶτον ἀποστόλους, δεύτερον προφήτας, τρίτον διδασκάλους, ἔπειτα δυνάμεις, ἔπειτα χαρίσματα ἰαμάτων, ἀντιλήμψεις, κυβερνήσεις, γένη γλωσσῶν. 29 μὴ πάντες ἀπόστολοι; μὴ πάντες προφῆται; μὴ πάντες διδάσκαλοι; μὴ πάντες δυνάμεις; 30 μὴ πάντες χαρίσματα ἔχουσιν ἰαμάτων; μὴ πάντες γλώσσαις λαλοῦσιν; μὴ πάντες διερμηνεύουσιν; 31 ζηλοῦτε δὲ τὰ χαρίσματα τὰ μείζονα. Καὶ ἔτι καθ' ὑπερβολὴν ὁδὸν ὑμῖν δείκνυμι. 12 For just as the body is one and has many members, and all the members of the body, though many, are one body, so it is with Christ. 13 For in the one Spirit we were all baptized into one body – Jews or Greeks, slaves or free – and we were all made to drink of one Spirit. 14 Indeed, the body does not consist of one member but of many. 15 If the foot were to say, ‘Because I am not a hand, I do not belong to the body’, that would not make it any less a part of the body. 16 And if the ear were to say, ‘Because I am not an eye, I do not belong to the body’, that would not make it any less a part of the body. 17 If the whole body were an eye, where would the hearing be? If the whole body were hearing, where would the sense of smell be? 18 But as it is, God arranged the members in the body, each one of them, as he chose. 19 If all were a single member, where would the body be? 20 As it is, there are many members, yet one body. 21 The eye cannot say to the hand, ‘I have no need of you’, nor again the head to the feet, ‘I have no need of you.’ 22 On the contrary, the members of the body that seem to be weaker are indispensable, 23 and those members of the body that we think less honourable we clothe with greater honour, and our less respectable members are treated with greater respect; 24 whereas our more respectable members do not need this. But God has so arranged the body, giving the greater honour to the inferior member, 25 that there may be no dissension within the body, but the members may have the same care for one another. 26 If one member suffers, all suffer together with it; if one member is honoured, all rejoice together with it. 11 καὶ αὐτὸς ἔδωκεν τοὺς μὲν ἀποστόλους, τοὺς δὲ προφήτας, τοὺς δὲ εὐαγγελιστάς, τοὺς δὲ ποιμένας καὶ διδασκάλους, 12 πρὸς τὸν καταρτισμὸν τῶν ἁγίων εἰς ἔργον διακονίας, εἰς οἰκοδομὴν τοῦ σώματος τοῦ Χριστοῦ, 13 μέχρι καταντήσωμεν οἱ πάντες εἰς τὴν ἑνότητα τῆς πίστεως καὶ τῆς ἐπιγνώσεως τοῦ υἱοῦ τοῦ θεοῦ, εἰς ἄνδρα τέλειον, εἰς μέτρον ἡλικίας τοῦ πληρώματος τοῦ Χριστοῦ. 11 The gifts he gave were that some would be apostles, some prophets, some evangelists, some pastors and teachers, 12 to equip the saints for the work of ministry, for building up the body of Christ, 13 until all of us come to the unity of the faith and of the knowledge of the Son of God, to maturity, to the measure of the full stature of Christ. Among the whole People of God, we all have gifts, gifts that are at the service of the Body of Christ. The Greek Orthodox theologian, Metropolitan John Zizioulas, more than any other has influenced both Catholic and Protestant understandings of the Church in recent decades, and has dynamically contributed to, and is reflected in, the thinking of many theologians on this topic, including Jürgen Moltmann, David Bosch and George Guiver. When we do not take account of the Ministry by the Whole People of God, how are we failing in our ministry, and in the liturgy of the Church? Too often, I fear, when we involve people in the Liturgy of the Church, we – and they – often see it as lay people giving the rector a “dig-out.” We dispense roles for them to play, roles that are often token roles. We write the intercessions for them; we “let” them do a reading, we ask them to organise the children’s story and songs; we sometimes “allow” them to assist with distributing the Holy Communion. And, sometimes, when we try to find meaningful roles for them in the Liturgy, we dress them up in cassock, surplice, and blue scarf, and try to clericalise them. It may be a move forward from confining them to sitting, standing, kneeling, singing hymns and saying “Amen.” But it is a long way from recognising that the Liturgy is – as its name constantly reminds us – the work of the whole People of God. They are not helping us out. It is their work. We are there to ensure it happens. But without them, quite frankly, it does not happen. There are no private Masses, there are no private Baptisms. Each Baptism and each Eucharist is a sacramental incorporation into the Body of Christ. It is a plural, collective moment. And the role of all clergy – bishops, priests and deacons – is to act as “liturgical midwives” for the Whole People of God. We are there to help them, not the other way around. We are there to help and to do our best to ensure that the whole People of God are in communion with God and with one another, worship God, come into the presence of God in Word and Sacrament, and are sent out into the world as the People of God commissioned and empowered for God’s mission in the world. Metropolitan John Zizioulas, in particular, points out in his Being as Communion that a careful study of I Corinthians 12 shows that for the Apostle Paul the Body of Christ is composed of the charismata of the Spirit, which pertain to the charisma or membership of the body. Drawing on Scriptural and Patristic studies, he speaks of the People of God as an order of the Church that is constituted by virtue of the rite of initiation (Baptism-Chrismation). The People of God is an order of the Church, gathered with the bishop, priests and deacons, and the sine qua non condition for the Eucharistic community to exist and to express the unity of the Church. 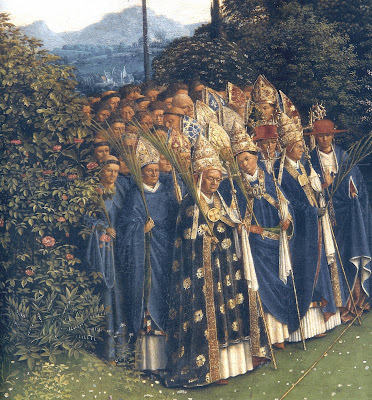 The early Church prohibited any ordination that was not to a specific community (Canon 6, Council of Chalcedon). Without a community there can be no ministry to exercise. The community possesses and transmits the charismatic life. There is no such thing as a “non-ordained” member of the Church. Christian initiation, in Baptism and Confirmation (Chrismation) is essentially an ordination and it helps us to find an understanding of what ordination means. The baptised person becomes not simply a Christian, but a member of a particular ordo in the Christian community. Their ministries, properly exercised, relate the Church to the World. No ordained person exercises his or her ordo in himself or herself, but in the community. One of my favourite comedy sketches has Marty Feldman and Tim Brook-Taylor on a train. Marty Feldman is fully robed episcopally, in a cope and mitre and carrying a crozier. One of the passengers in the carriage, Tim Brooke-Taylor, challenges him, and asks where his diocese is. An exasperated Marty Feldman eventually claims he is the bishop of this train, a bishop of no fixed abode, the Cheltenham Express, before storming out on his own. At least Marty Feldman tried to get them singing a hymn, and took up a collection. But there is no ministry and there is no liturgy without the whole People of God. – (The Book of Common Prayer (2004), p. 218). Here we are as a people who have been gathered together, liturgically, to present ourselves before God, and to receive Christ in Word and Sacrament. We are not present as a collection of individual people who have been baptised and who happen to be in the same place at the same time. We are gathered together as the Church, the Body of Christ, to hear the Word of God, to ask for judgment and mercy and to receives them, to sing and it pray to God as part of the communion of God, to be in Communion with God and with one another, to say Amen to the Body of Christ, present in sacrament and in the gathered Church, and to be blessed and sent out in peace to love and serve the Lord. When we come together, we are brought into the unbroken time of God. 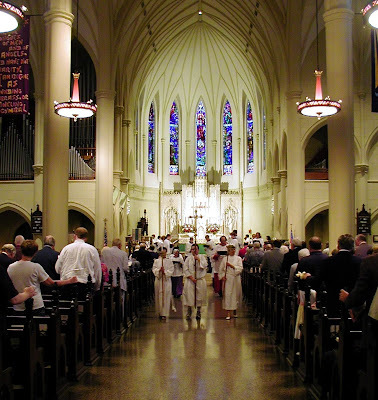 One Sunday’s liturgy is not really separated from the next Sunday’s liturgy by six weekdays. Secular time does not divide what the Spirit holds together. We share the one bread and one cup know that God comes to humanity in Christ; that God has anointed Christ with humanity and he has crowned humanity with Christ. Humanity is with God, and God is with humanity. 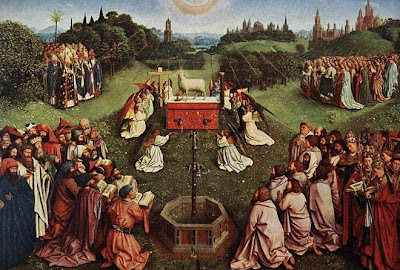 Just as the whole glory of God was poured into the single body of Christ, that same glory of Christ is very slowly poured into us, the unlikely body of those gathered in the Liturgy. But just as the head has been raised, so the whole people will be raised, and the community of faith gathered in the Liturgy is already the anticipation and the pledge of the resurrection. Since yesterday [29 November 2015], in the season of Advent, in particular, we can say with true, faithful emphasis: “We look for his coming in great glory.” (The Book of Common Prayer (2004), p. 221). And when he comes, all humanity will arrive with him. We are being called into a great company. Just how huge this company is, is something to occupy us for time without limit. The whole world is invited to be part of this great assembly and both to watch and to take delight in the world, but also to take part in God’s work. Before us, the Lord reconciles the apparently irreconcilable, and brings all things into communion so that they become willing, ready for each other and – finally also – beautiful. In Christ, each of us is joined to every other. The Church is the companionship of God making itself tangible and corporal in the here and now. – (The Book of Common Prayer (2004), p. 209; c.f. pp 214, 217). – (The Book of Common Prayer (2004), p. 221). As the liturgical procession moves down and out, we then, as the People of God, stream away in all directions, into every corner of the world. We are a people on the move, a pilgrim people, in many ways still becoming what we are to be, being led by our Lord, being led to God. We come from Christ and we return to him. He sends us out to take his service into the world. And he calls us back. We are always on the way out and on the way back. Our service and witness is only good as long as we regularly come back and are refreshed and renewed. As I go out, I take the whole service of Christ with me, hopefully, wherever I go, as a valued and valuable part of the whole company of saints, bound to one another and to the one Father in Christ by the Holy Spirit. The Holy Spirit holds us together across all distances: space and time can never divide us. The dismissal is our commission for mission. We are sent out together in mission, a mission to live and work to God’s praise and glory, Amen. We are the envoys and the apostles of Jesus Christ. We must speak to all in the person of Christ, we must exercise his mercy, judging for ourselves where to speak gentle words and where to speak hard words. The calling and vocation to lay ministry is not an appendix to the doctrine of the Church. It is an organic, integral insight into the Church’s understanding and explanation of itself. Baptism is the ordination to ministry of the Whole People of God and it gives equal dignity to all members of the Church, both clerical and lay. Here laos is the primary and defining concept. The People of God are called to be the Church together in its mission and ministry. The laos is the model within which all other ministries are defined and practised, not as a function in relationship to an institution, but in relation to God’s saving and creative activity in the world into which the whole people of God are called. If God’s mission is to reveal his love for the whole world, and if the Church is a function of that mission, then the ministry of the laity is crucial. The Church must own the vocation to be lay as part of a total ecclesiology, but also without a high degree of definition by the institutional church. This does not mean that they are unchurchly, but they enter into life where the visible and organised church offers little or no help. Being a lay Christian is a calling, perhaps the most serious calling of all, because the layperson’s prime responsibility is to find ways of living positively for God in the real world. In the past, the Church has emphasised those lay ministries that are capable of being organised, controlled or accredited by the institution. In doing this, the Church fails to acknowledge, recognise and nurture the ministry of the People of God in the world. It belongs to the laos to build up the Kingdom of God in unchurchly ways. The church must set them free to do this, inspiring and nurturing them in this task without directing or controlling it. The dispersion of the laity is the prime means by which the Church enters the world. David Bosch, Transforming Mission: Paradigm Shifts on Theology of Mission (Maryknoll: Orbis, 1991). Sotirios Christou, The Priest & the People of God, A Royal Priesthood (Cambridge: Phoenix Books, 2003). George Guiver (ed), Priests in a People’s Church (London: SPCK, 2001). Jurgen Moltmann, The Church in the Power of the Spirit (New York: Harper and Row, 1977; London: SCM Press, 1992). John D. Zizioulas, Being as Communion (London: Darton, Longman and Todd, 1985). 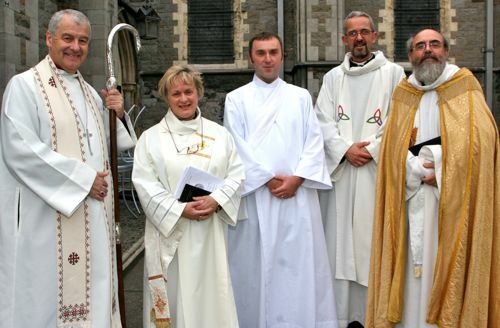 The new ordinal, which was not introduced in the Church of Ireland until this century, was heavily influenced by the work of the International Anglican Liturgical Consultation, which included Dean Brian Mayne and Bishop Harold Miller. Ordination services for these orders should not take place at the same time, as this confuses their role. How do we move away from seeing the diaconate only as preparation for priesthood? 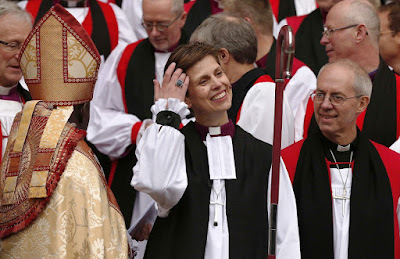 How and when do we allow bishops to return to their priestly ministry? 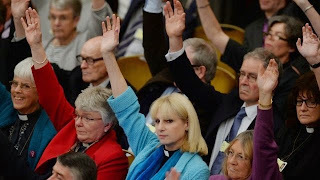 Where do we place and affirm the ministry of the laity? 3, In addition, the findings raise questions about sequential and direct ordination. These are appropriate and apposite questions, as all three ministries are exercised within the context of the full ministry of the whole People of God, the community of the Baptised. Salvation is not merely an individual matter; it is about the whole people of God. And so too with the liturgy. It’s never about me; it’s always about us, about us and them. bought through the shedding of his blood on the cross. are one with him; they are his body. – (The Book of Common Prayer (2004), p. 573). Compare this with the traditional warning that was included with this charge in the Ordinal: “And if it shall happen the same Church, or any member thereof, to take any hurt or hindrance by reason of your negligence, ye know the greatness of the fault, and also the horrible punishment that will ensue” (see The Book of Common Prayer (2004), p. 532). Let us look at the Ordinal [see The Book of Common Prayer (2004), pp 517-590]. I suppose it is appropriate that these are the last liturgies in the Book of Common Prayer, for they are at the service of all other ministries and all our other liturgy. Question to candidate(s) about call to ministry. The Affirmation of the People. Ordination prayer, with the laying on of hands. The newly-ordained depart for ministry. Christopher Cocksworth and Rosalind Brown, Being a Priest Today, Exploring priestly identity (Norwich Canterbury Press, 2002, 2nd ed 2006). Malcolm Grundy, What they don’t teach you at theological college (Norwich: Canterbury Press, 2003). Eric James (ed), Stewards of the Mysteries of God (London: Darton, Longman and Todd, 1979). Daniel J. O’Leary, New Hearts for New Models, a Spirituality for Priests (Dublin: Columba, 1997). Michael Ramsey, The Christian Priest Today (London: SPCK, new revised ed, 2001). Alastair Redfern, Ministry and Priesthood (London: Darton, Longman and Todd, 1999). Samuel Wells and Sarah Coakley, Priestly Presence in Contemporary Culture (London: Continuum, 2008). If Baptism/Confirmation are foundational for ministry in the Church, who may/may not be ordained as deacon, priest or bishop? Lavinia Byrne, Woman at the Altar (London: Mowbray, 1994). Elizabeth Canham, Pilgrimage to Priesthood (London: SPCK, 1983). Susan Dowell and Jane Williams, Bread, Wine and Women (London: Virago, 1994). Monica Furlong (ed), Feminine in the Church (London: SPCK, 1984). Margaret Webster, A New Strength, a New Song, The Journey to Women’s Priesthood (London: Mowbray, 1994). 9.1: Rites of passage, e.g., Marriages, Funerals. 9.2: Seminar: Spirituality of ministry; readings on the minister as person, private, public and holy. Christopher Cocksworth and Rosalind Brown, Being a priest today (Norwich: Canterbury Press, 2nd ed, 2006), Chapter 7 (pp 129-153). Published in the US as: Rosalind Brown, and Christopher Cocksworth, On being a priest today (Cambridge MA: Cowley 2002). 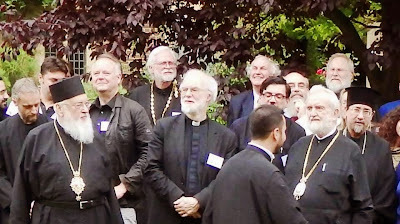 The Right Revd Dr Christopher Cocksworth has been Bishop of Coventry since 2008 and is a former Principal of Ridley Hall, Cambridge (2001-2008). Canon Rosalind Brown is a renowned hymn writer and Canon Librarian of Durham Cathedral, with responsibility for the public face of the cathedral’s life including visitors, education, the Library, pastoral care and relationships with the wider community. Canon Malcolm Grundy has been Archdeacon of Craven in the Diocese of Bradford (1994-2005) and Director of the Foundation for Church Leadership (2005-2009). Sister Barbara June (Kirby) SLG, ‘Simple Gifts: Priesthood in a Praying Community,’ (Chapter 5), pp 62-71 in George Guiver et al, Priests in a People’s Church (London: SPCK, 2001). The Revd Sister Barbara June (Kirby) is a member of the Community of the Sisters of the Love of God in Fairacres, Oxford, and has been an NSM curate in Saint John’s, Cowley. Michael Ramsey, The Christian Priest Today (London: SPCK, new revised edition, 2001), Chapter 9, ‘The Ordination Gospel’ (pp 61-67). 2, End of module visit postponed to next semester. (Revd Canon Professor) Patrick Comerford is Lecturer in Anglicanism, Liturgy and Church History, the Church of Ireland Theological Institute. This essay is based on notes prepared for a lecture on 30 November 2015 in the Module TH 8824: Liturgy, Worship and Spirituality on the MTh course. The ‘U2Charist’ in Saint George’s and Saint Thomas’s Church, Dublin ... what do we mean by the inculturation of the liturgy? 8.1: Baptism and Eucharist (3): the contemporary life and mission of the Church; worship and inculturation. 8.2: Theology of the whole people of God; the theology and rites of ordination; gender and ministry. And what does inculturation mean for the contemporary life and mission of the Church? We have inherited a rich and deep liturgical heritage from the Church of Ireland, the wider Church experience in Ireland, the wider Anglican Communion, and through twenty centuries of Church history. But we also have a cultural heritage that needs to integrate that liturgical heritage, to express that liturgical heritage, and that is expressed in and interpreted in our liturgy. And yet the Church is different from all other gatherings and communities in every culture and every age. 1, The Church is not gathered together by a human decision, but is called through Christ by God in the Holy Spirit and responds in faith to this gracious call. 2, The Church Catholic is called to gather all peoples, to speak all languages, to penetrate all cultures. 3, The Church, as a pilgrim people on this earth, and in this Advent time bears the marks of this present time in its sacraments, its liturgies and its institutions and structures as we await the coming of Christ in hope. The Church universal, the Church Catholic, finds its particular expression, is made present and signified, in particular Churches. As the 39 Articles remind us, the Church is visible in “a congregation of faithful men” (i.e., faithful people gathered together in the diocese), “in which the pure Word of God is preached, and the Sacraments be duly administered ...” (Article 19). Every particular expression of the Church is united with the universal Church, across the barriers of time and of space, not only in belief and sacramental life, but also in those practices the Church has inherited down through the generations, dating back to the Apostolic tradition. What are some examples of these universal Church practices? They include, for example, daily prayer, the sanctification of Sunday and the rhythm of the week, the celebration of Easter and the unfolding of the mystery of Christ throughout the liturgical year, and the sacraments. We have talked over the past few weeks about Liturgy as the place where Christians meet God in Christ. Christian worship finds its most fundamental expression when every Sunday, throughout the whole world, Christians gather around the altar or the table in word and sacrament, listening to the Word of God, celebrating the Eucharist, and recalling the death and resurrection of Christ, while awaiting his coming in glory. “All Sundays celebrate the paschal mystery of the death and resurrection of Christ.” On Sundays and eight of the nine Principal Holy Days (Christmas Day, Easter Day, the Day of Pentecost, The Presentation of Christ, Maundy Thursday, the Ascension Day, Trinity Sunday and All Saints’ Day, but not Good Friday), “it is fitting that the Holy Communion be celebrated in every cathedral and in each parish church or in a church within a parochial union, or group of parishes … The liturgical provision for the above days may not be displaced by any other observance” (The Book of Common Prayer (2004), p. 18). The Liturgy is both the action of Christ the Priest and the action of the Church which is his body. 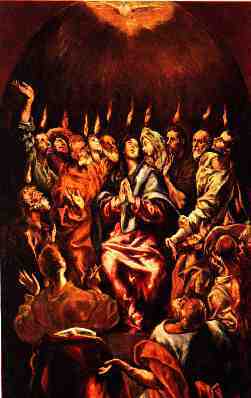 In the Liturgy, the Church, through Christ and the Holy Spirit, gives the Father the worship which is pleasing to him. There is an unchangeable aspect of the Liturgy. But the Church adapts that the Liturgy, according to the constraints of time and space, for the good of the people, for the good of the people who are the Body of Christ, according to circumstances, times and places. But how do we strike the balance between inculturating the sacraments that Christ has instituted, and emptying them of their substance? What is essential when it comes to liturgical change? Our agreements on the Liturgy ensure orthodoxy of worship, not only because we must avoid errors, but because we must pass on the faith in its integrity. There is theological maxim that “rule of prayer” must correspond to the “rule of belief” – lex orandi, lex credendi. But what about the different needs of the Church in particular places, at particular times? How are these to be addressed? For example, what about a place that does not have a Christian tradition? Should missionaries who bring the Gospel with them also bring their liturgical traditions with them? And how do they modify, adapt or inculturate those liturgical traditions? Other places have a long-standing Western Christian tradition, where the culture is already embedded with the language of the faith and the expresses of the liturgy. If the liturgy is changes, does it lose its cultural relevance and its ability to speak to the people? In some places, several cultures coexist. How then is it possible to inculturate liturgical practices? Any adaptations, modification and changes must bear in mind the need for people to understand the Liturgy with ease, to take part fully, and to relate it actively to their lives and the society in which they live. For example, there is no point in making adaptations that then need numerous explanations in order to be understood. How far can we go with inculturation? The missionary tradition of the Church has always sought to bring the Christian faith to people in their own language. The translation of the Bible and the Liturgy are the first steps in the process of inculturation. The first significant measure of inculturation at the Reformation was the translation of the Bible, liturgies and liturgical books into the language of the people. But each translation both shaped and respected literary genres without altering the content of the texts. The translated works had to be understandable by those for whom they were being translated. So, The Book of Common Prayer and the King James Version of the Bible were translated into the English of the 16th and 17th centuries, but they also shaped the English language of the time. In English, to talk about being saved by the “skin of my teeth” is inexplicable without a glimpse of the Book of Job in the Authorised Version. Phrases like “read, mark, learn and inwardly digest” from The Book of Common Prayer have passed into common parlance. How many of you remembered old traditions when you realised that last Sunday week [Sunday 22 November 2015] was “Stir-Up Sunday”? For example, on my visits to China with the Dublin University Far Eastern Mission, I became conscious of how the differences between the “Protestant” and “Catholic” traditions, in their various forms, is exaggerated for non-Christian Chinese when they see that Catholics and Protestants cannot agree on a common translation of the Bible, or even on the same word for God, so that they are seen by many as two completely different religions. The Catholic Church historically favoured Tīanzhǔ (literally “Heavenly Lord,” or “Lord of Heaven”), and so “Catholicism” is most commonly rendered Tīanzhǔ jìao, although Chinese Catholics also a literal translation of “catholic,” Gōng jiào. In addition, the Tetragrammaton, the four-letter pronunciation of the name of God from the original Hebrew often rendered as YHWH, is rendered in different ways. Catholics have translated this into Yǎwēi (“Elegant Powerful”). Protestants originally rendered it as Yéhuǒhuá (“[old] Gentleman of Fiery Magnificence”). A modern Protestant usage is Yēhéhuá. Some versions translate this term as Shàngzhǔ (literally “Above Lord”), similar to the translation decision to use a capitalised “LORD” by both Catholics and traditional Protestants. To complicate matters, Catholics, Anglicans, and Lutherans particularly use Shàngzhǔ in their Eucharistic Prayers. If people are going to listen to the Gospel being proclaimed, to join in the Canticles, Psalms, responses and hymns, they must be in a language that they can understand and that is culturally pertinent. And that language is not merely words. The late Archbishop Trevor Huddleston once spoke of Anglican liturgies in Africa that were translated into the words of African languages by CMS, SPG and UMCA missionaries, but were not successful because they retained the Anglo-Saxon and English rhythms and cadences that are part and parcel of The Book of Common Prayer. And all peoples and cultures have a religious language that is suitable for expressing prayer, and a liturgical language that has its own special characteristics. Words like liturgy, mystery, ecclesia, evangel, sacrament, Baptism and Eucharist pre-exist Christianity. But they took on a new meaning when they were adapted to the needs of the Church and the liturgy. Even at the level of liturgical words, translations are always inculturated or they fail to have sign, significance. Each society and each culture, in the languages of their day, have literary qualities that relate to the living language of the people. What about newly-created texts for liturgy? The qualities needed for liturgical translations apply too to new liturgical compositions. The principle of The Book of Common Prayer is that we share a common liturgical life. But how do new liturgical translations or new liturgical compositions move beyond what is shared, and in their efforts to be inculturated become so localised, so particular, that they are no longer part of the shared, common liturgy of the Church? And to what degree is The Book of Common Prayer in its various and previous editions over the centuries, the benchmark or standard by which all other liturgies are to be judged? Last week, we looked at how the Church of South India had created a new Eucharistic rite, drawing on elements of Anglican, Orthodox, Indian and Mozarabic Liturgies, and in turn how the that Liturgy of the Church of South India has influenced the liturgies of Anglican Churches throughout the world. The Anglican Church in New Zealand and, nearer to home, the (Anglican) Church in Wales, have lived liturgically for some decades acknowledging and giving liturgical expression to the cultural realities, differences and diversities in their dioceses. But at what point does diversity sacrifice or even lose unity? Are there any general principles to help or guide the inculturation of liturgies and rites? How do we maintain the orthodoxy of the faith while respecting celebrating diversity in culture? How do we even assess or discern whether a particular culture or tradition should be celebrated and calls for diversity? Liturgical inculturation includes satisfying and respecting the needs of traditional culture, and at the same time taking account for the needs of those in new cultural settings. 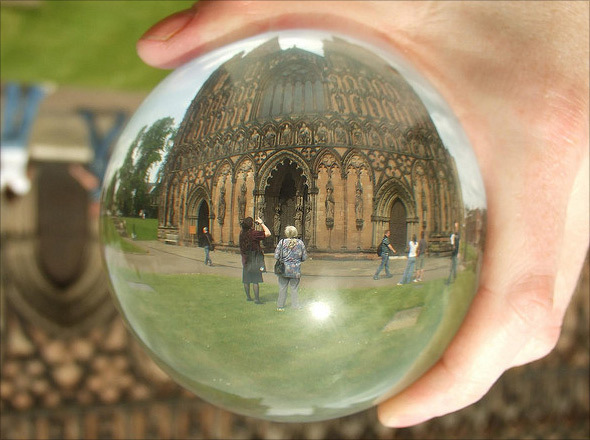 These include the needs of urban and industrial cultures, of post-Christian as well as pre-Christian cultures, the needs of modern and post-modernist cultures, the needs of local people and immigrants too. Was the introduction of inclusive language in the liturgy enough to eradicate exclusivism? Are there other ways in our language (both verbalised language and body language, as well as our choices of music, symbols, &c.) that serve to make the Church appear exclusive rather than inclusive? 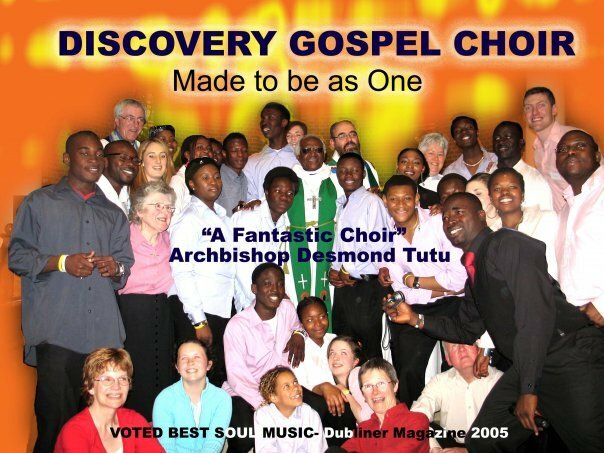 I took part in many of the original “Discovery” liturgies in Saint George’s and Saint Thomas’s Church in Inner City Dublin – described as Anglican liturgies with African – and sometimes Indian – flavours. Some years ago, I was also invited to preside at what was called a “U2Charist” in the same church. In preparing for it, I was helped by the writings of two Episcopal churches in the US: Raewynne J. Whiteley and Beth Maynard, Get Up Off Your Knees, preaching the U2 catalog (Cambridge MA: Cowley, 2003). It was obvious to me, as people came forward to receive the Eucharist, that many of those who took part had not been to Communion, had not been to church at all, for a long, long time. But this Eucharist spoke to them in their modern and post-modern language. Liturgy cannot just borrow but adapt and find meaning in the social and religious rites of a people, and their culture can positively enrich their understanding of liturgical actions. But are there negative elements of a culture should not be incorporated into the liturgy? Of course there are dangers of reductionism or being trite and there are the dangers of syncretism. There are times when we need to make a break with the past. There are times when we can have layers and layers of meaning and nuance, and there are times we need to avoid ambiguity to avoid a process of inclulturation that stoops to politicisation of the liturgy, to superstition, to vengeance or to sexual connotations. How is the unity of Anglicanism expressed in the liturgy? True inculturation does not create new traditions beyond Anglicanism. Instead, it responds to the needs of a particular culture and leads to adaptations that still remain part of our tradition and communion. But they need to take account of the historical, anthropological, exegetical and theological character of the expressions of faith of the people and culture with whom the liturgy is being adapted. They need to be attuned to the pastoral experience of the church and of the people where the changes are taking place. It is not just about the hymns and the music. Many cultures have a great collection of wisdom in the form of proverbs and stories. This literature is a store of wisdom set in a cultural context that people understand very well. The proverbs of the people may be more familiar to them than the Book of Proverbs in the Bible. But while this literature is full of wisdom, it can never be a substitute for the inspired word of God in the liturgy, and certainly not in the name of inculturation. On the other hand, we one can use it to explain the word of God, for instance in the sermon, or outside the liturgy in teaching. But the liturgy of the word within the context of liturgical celebration is irreplaceable. For example, the story is told that it had been observed that in some African traditions before people dined at an important meal they poured libation to the ancestors. Drawing on this observation, it was suggested that it would be appropriate to pour a libation of the consecrated wine before the Eucharistic meal. But this is a total misunderstanding of the centrality of the Paschal Mystery, reducing Christ’s presence in the Eucharist to mere drink. It also raises questions about why people think the dead need material nourishment. Colours and postures all have different significance in different cultures. White is associated with death in China. What about blue, purple, pink, green, orange? In some cultures it is only acceptable to kneel for prayer, in others to stand, but in many it is rude to sit for prayer. Other culturally-charged language and body language includes standing for the Gospel. But what about having your hands in your pockets? Who welcomes and who dismisses are culturally-charged tasks. An illustration from the Gospel is found at the meal Christ has in the house of Simon the Pharisee. The woman anoints Jesus, but Simon failed to greet him properly, to offer him the opportunity wash his feet and hands before sitting at the table. ● The texts of the opening dialogues? ● The ways in which the altar and the Book of the Gospels are venerated? ● The exchange of peace? ● Who brings up and who receives the offering? ● Who prepares the altar/table? ● The words and actions at the preparation of the gifts and at the communion? ● The type of bread and wine we use? ● The materials for the construction of the altar/table and liturgical furnishings? ● The material and form of sacred vessels – pottery or silver? ● The shape, texture and colour of liturgical vestments? ● The way in which we distribute the Holy Communion – who distributes and what words do we use? ● Who dismisses? Who sends out? And the questions we ask about the Eucharist should be asked too of the rites of Christian initiation (Baptism and Confirmation), marriages, funerals, the blessings of persons, places or things, and the liturgical calendar? And when we do change and inculturate the public worship of the Church, to what degree do we need to exercise prudence and discretion so we avoid breaking up of the local Church into little “churches” that become closed in on themselves? When the Church introduces changes, those changes need to be gradual, and adequate explanations must be provided with good and sensitive teaching so that we avoid the danger of rejection or simply an artificial grafting on to previous forms. Of course, there must be innovations when the good of the Church and the needs of the people genuinely demand them. But care must be taken too to ensure that any new forms adopted should in some way grow organically from forms already existing. What do you think are some of liturgical actions that might be adapted? Many elements may be open to adaptation, including language, music and singing, gesture and posture, art and images, and popular devotions. Liturgical language must express the truths of the faith, and the grandeur and holiness of the mysteries which are being celebrated. But it must be language that is both sacred and culturally relevant for people, not merely in its vocabulary but also in its cadences, rhythms, poetry and drama. Music and singing should have pride of place in the liturgy. A text that is sung is more deeply embedded in our memories when it is read. We must be demanding about the biblical and liturgical inspiration and the literary quality of the texts we want sung. The liturgy is not merely words: it is work, which means it is actions and movements too. Gesture and posture are especially important. Gestures are culturally embedded, yet they express the attitude of humanity before God and our attitude to one another. For example, the gestures and postures of the celebrating or presiding priest at the Eucharist have to express his or her special function: He/she presides over the assembly both in the person of Christ and on behalf of the people. The gestures and postures of the congregation are signs of our unity, express our active participation, and foster our spiritual attitudes. What about liturgical dance, for instance? Among some peoples, singing is instinctively accompanied by hand-clapping, rhythmic swaying and dance movements. These are valid liturgical expressions, not simply performances, and they can express true communal prayer, adoration, praise, offering and supplication. ● localising the faith and worship of the Universal Church in the incarnational situation of the local church. The Church is called to overcome the barriers that divide humanity. By baptism, we all become children of God and form in Christ Jesus one people where “there is no longer Jew or Greek, there is no longer slave or free, there is no longer male and female; for all of you are one in Christ Jesus” (Galatians 3: 28). For inculturation this means that whatever measure is taken, while it helps Christianity to penetrate in a particular culture, it should not on the other hand alienate others, and so divide the unity that is essential to the Church. 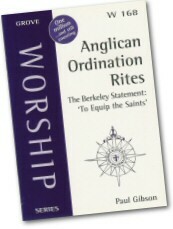 In its report, Renewing the Anglican Eucharist, the Fifth International Anglican Liturgical Consultation in Dublin (1995) asked 20 years ago what is important in the Sunday celebration of the Eucharist and suggested a scheme that should be varied in keeping with liturgical seasons and special seasons and occasions. 2 = integral, but not indispensable. 3 = would not be omitted in principle, may be limited or varied in accordance with liturgical seasons or special occasions. 4 = not necessary but may be desirable at times. * An asterisk indicates elements of the liturgy that may appear at one point or another in the rite. Their placement, however, has significant implications and requires careful attention. Compare this with the headings and structures for the Eucharist in The Book of Common Prayer (2004), pp 201-221. Tissa Balasuruya, The Eucharist and Human Liberation (London: SCM Press, 1979). Paul Bradshaw and John Melloh (eds), Foundations in Ritual Studies: A reader for students of Christian worship (London: SPCK, 2007). Stephen Burns, Living the Thanksgiving: exploring the Eucharist (Norwich: Canterbury Press, 2006). Patrick Comerford, ‘The Reconstruction of Theological Thinking – implications for the Church in China,’ Search 29/1 (Spring 2006), pp 13-22. Vivienne Faull and Jane Siclair, Count us in – inclusive language in the liturgy (Bramcote: Grove, 1986, Grove Liturgical Study No 46). Richard Giles, Creating Uncommon Worship, transforming the liturgy of the Eucharist (Norwich: Canterbury Press, 2004). David R. Holeton (ed), Renewing the Anglican Eucharist (Cambridge: Grove, 1996, Grove Worship Series 135). Graham Hughes, Worship as Meaning, A Liturgical Theology for Late Modernity (Cambridge: Cambridge University Press, 2003, Cambridge Studies in Christian Doctrine series). Kevin W. Irwin, Models of the Eucharist (New York/Mahwah NJ: Paullist Press, 2005). Harold Miller, Making an Occasion of it (Dublin: Church of Ireland Literature Committee, 1994). Michael Perham (ed), The Renewal of Common Prayer (London: SPCK, 1993). Varietates Legitimae – Inculturation and the Roman Liturgy, the Fourth Instruction for the Correct Application of the Conciliar Constitution on the Liturgy (Nos. 37-40), the Congregation for Divine Worship and the Discipline of the Sacraments, 1994. Raewynne J. Whiteley, Beth Maynard (eds), Get Up Off Your Knees, preaching the U2 catalog (Cambridge MA: Cowley, 2003). 9.2: Seminar: Spirituality of ministry: readings on the minister as person, private, public and holy. Advent began yesterday [29 November 2015] with the First Sunday of Advent and the beginning of the new Church Year. Over these few weeks, as we wait and prepare for Christmas, I invite you to join me in my own Advent Calendar each morning for a few, brief moments as I reflect on the meaning of Advent through the words of the great German theologian and martyr, Dietrich Bonhoeffer (1906-1945). Readings (Revised Common Lectionary): Isaiah 52: 7-10; Psalm 19: 1-6; Romans 10: 12-18; Matthew 4: 18-22. Jeremiah 33: 14-16; Psalm 25: 1-9, I Thessalonians 3: 9-13; Luke 21: 25-36. I pray that I may I speak to you in the name of God, + Father, Son and Holy Spirit, Amen. The English Poet Laureate John Betjeman loved to tell the story of a Japanese prince who arrived at Magdalen College, Oxford, as an undergraduate in 1925, the same year as Betjeman came up. We are warned to be on guard for that coming of Christ and his Kingdom so that our hearts are not weighed down with dissipation and drunkenness and the worries of this life, and that day does not catch us unexpectedly, like a trap. But, as we prepare for the coming of Christ, are we trapped? Are we trapped in the commercialism of Christmas? There are 12 days of Christmas. But not one of them is in November. Yet for many weeks now, we have been inundated with Christmas catalogues and advertising. I hope I am not like the Grinch or an insufferable snob. But I cannot go into a shop anywhere in this city for some weeks now without being polluted with cheap Christmas jingles that are a travesty of the original Christmas carols they represent. Does the decoration of our shops, even of our churches, lead our eyes to the coming Christ or away from him? Betjeman’s poems are often humorous, with a wry, comic verse often marked by satire. He is one of the most significant literary figures of our time and was a practising Anglican, and his beliefs and piety inform many of his poems. Many people feel threatened by the present state of the world, and they are looking for hope. But is is hope that cannot be found in the shops and the magazines, in the jingles and the baubles. They have little to do with the coming of Christ and his kingdom, or how we can show that we believe in his coming and show in our actions what we think are the priorities of the Kingdom of God, how they challenge the present state of the world. It might be more accurate, and true to the original Greek to translate this verse so that it speaks about the people on the earth being perplexed by the sound and the echoes of the sea and the surf. It is not difficult to think this morning of the people from many nations who are confused and endangered by the sea and the surf and the waves: the people fleeing war and violence and mass murder in Syria, Eritrea, Iraq and Afghanistan, and who are being washed up against the rocks on the treacherous shores of Greek islands in the Aegean Sea. 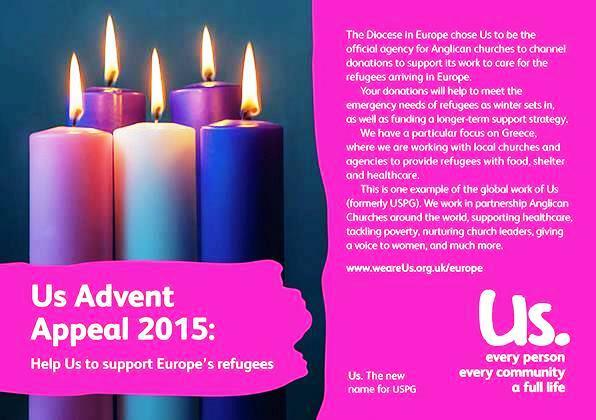 Us has produced prayer cards providing guided reflections for each Sunday during Advent, inviting people to pray for refugees around the world as we light our Advent candles. Two weeks ago, I spent three days [11-13 November 2015] at a meeting of the Trustees of Us, the Anglican mission agency previously known as USPG or the United Society for the Propagation of the Gospel. 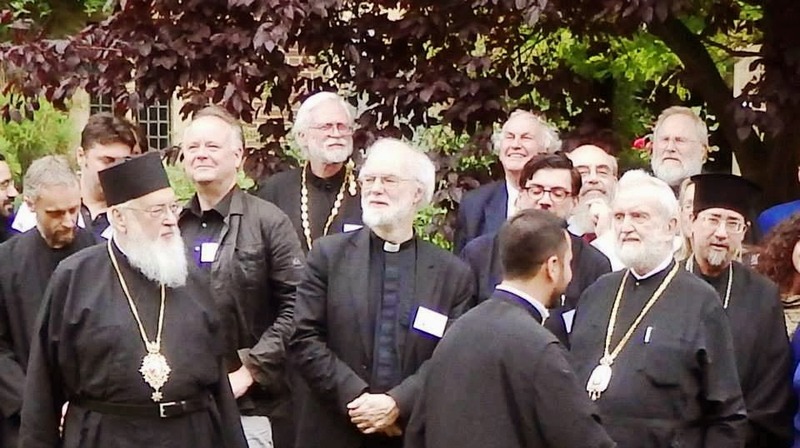 It was a residential meeting in Westcott House, the Anglican theological college in Cambridge. And during those three days I heard again and again of the work Us or USPG is doing with refugees throughout Europe. When people began to arrive in the parks and squares in central Athens from the ferry boats from the islands, Saint Paul’s Anglican Church and the churches in Athens responded immediately. This response has brought the churches together. This is on-the-ground ecumenism in action. Years and years of dialogue are now bearing fruit. But Bishop David is worried that the rest of Europe fails to see that these are people who deserve basic humanitarian assistance while their status is sorted out. It is ironic, surely, that the people who are fleeing Isis in Syria, then become victims once more when they are refused compassion because of the violence Isis is now reeking in European capitals. Winter is closing in and threatens to make the sea-crossings even more treacherous. Freezing temperatures, heavy rains, and strong storms across Europe have not slowed down the surge of refugees. These people were desperate before they ever left. They are desperate now. And they face a winter with little protection from the cold, with no weather-proofing kits, with damaged tents, without winter clothes. One way the Church is responding to this crisis is the decision by the Anglican Diocese in Europe and the mission agency Us (or USPG) to fund an emergency centre for refugees run by volunteers at the remote Pharos Lighthouse on the Greek island of Lesvos. The refugees arrive cold and wet having crossed 15 km from Turkey, typically in small rubber boats crowded with up to 50 people. Often these crossings are at night to avoid Turkish coastguard patrols by day. Attracted by the beam of the lighthouse, they land on the rocky shore below, soaked through, tired and hungry. The light of the lighthouse on Lesvos can lead the fleeing refugees to either a perilous end on the rocky shore or to hope for the future provided by these volunteers. Yet they are still 6 km from the nearest village, Klio, a six-hour walk across rugged, rocky terrain. They need dry clothes, food, medical care and shelter before resuming their journeys. Two abandoned buildings next to the lighthouse are being turned into a changing area and a field kitchen. Tents are providing shelter and volunteers are working around the clock, seven days a week, providing food, clothing and medicines. These volunteers have also asked for ropes to help the refugees climb up the rocky shores, safety helmets and headgear for the children and babies, wetsuits, night vision binoculars, heaters, lighting and walky-talkies. I listened to these stories in Cambridge over those few days, those stories of how Us and the Diocese in Europe are trying to be lights of hope in this dismal, dark winter. Throughout Advent, Us is appealing for donations to fund the Diocese in Europe as it reaches out to refugees throughout Europe, and the Diocese in Europe has asked Us to be the official agency for Anglican churches on these islands to channel donations for its work. The Advent candles on the Advent wreath represent the Patriarchs, the Prophets, Saint John the Baptist, and the Virgin Mary, all pointing to Christ in the midst of darkness, despite the disasters of famines, earthquakes and wars. We can be beacons of hope. We can show in how we live our lives this Advent that we believe, that we want, good to triumph over evil, and to show that the Light of Christ shines in our hearts. And so, may all we think, say and do be to the praise, honour and glory of God, + Father, Son and Holy Spirit. (Revd Canon Professor) Patrick Comerford is Lecturer in Anglicanism, Liturgy and Church History, the Church of Ireland Theological Institute. This sermon was preached in Christ Church Cathedral, Dublin, on 29 November 2015. 25 Καὶ ἔσονται σημεῖα ἐν ἡλίῳ καὶ σελήνῃ καὶ ἄστροις, καὶ ἐπὶ τῆς γῆς συνοχὴ ἐθνῶν ἐν ἀπορίᾳ ἤχους θαλάσσης καὶ σάλου, 26 ἀποψυχόντων ἀνθρώπων ἀπὸ φόβου καὶ προσδοκίας τῶν ἐπερχομένων τῇ οἰκουμένῃ, αἱ γὰρ δυνάμεις τῶν οὐρανῶν σαλευθήσονται. 27 καὶ τότε ὄψονται τὸν υἱὸν τοῦ ἀνθρώπου ἐρχόμενον ἐν νεφέλῃ μετὰ δυνάμεως καὶ δόξης πολλῆς. 28 ἀρχομένων δὲ τούτων γίνεσθαι ἀνακύψατε καὶ ἐπάρατε τὰς κεφαλὰς ὑμῶν, διότι ἐγγίζει ἡ ἀπολύτρωσις ὑμῶν. 29 Καὶ εἶπεν παραβολὴν αὐτοῖς: Ἴδετε τὴν συκῆν καὶ πάντα τὰ δένδρα: 30 ὅταν προβάλωσιν ἤδη, βλέποντες ἀφ' ἑαυτῶν γινώσκετε ὅτι ἤδη ἐγγὺς τὸ θέρος ἐστίν: 31 οὕτως καὶ ὑμεῖς, ὅταν ἴδητε ταῦτα γινόμενα, γινώσκετε ὅτι ἐγγύς ἐστιν ἡ βασιλεία τοῦ θεοῦ. 32 ἀμὴν λέγω ὑμῖν ὅτι οὐ μὴ παρέλθῃ ἡ γενεὰ αὕτη ἕως ἂν πάντα γένηται. 33 ὁ οὐρανὸς καὶ ἡ γῆ παρελεύσονται, οἱ δὲ λόγοι μου οὐ μὴ παρελεύσονται. 34 Προσέχετε δὲ ἑαυτοῖς μήποτε βαρηθῶσιν ὑμῶν αἱ καρδίαι ἐν κραιπάλῃ καὶ μέθῃ καὶ μερίμναις βιωτικαῖς, καὶ ἐπιστῇ ἐφ' ὑμᾶς αἰφνίδιος ἡ ἡμέρα ἐκείνη 35 ὡς παγὶς. ἐπεισελεύσεται γὰρ ἐπὶ πάντας τοὺς καθημένους ἐπὶ πρόσωπον πάσης τῆς γῆς. 36 ἀγρυπνεῖτε δὲ ἐν παντὶ καιρῷ δεόμενοι ἵνα κατισχύσητε ἐκφυγεῖν ταῦτα πάντα τὰ μέλλοντα γίνεσθαι, καὶ σταθῆναι ἔμπροσθεν τοῦ υἱοῦ τοῦ ἀνθρώπου. 29 Then he told them a parable: ‘Look at the fig tree and all the trees; 30 as soon as they sprout leaves you can see for yourselves and know that summer is already near. 31 So also, when you see these things taking place, you know that the kingdom of God is near. 32 Truly I tell you, this generation will not pass away until all things have taken place. 33 Heaven and earth will pass away, but my words will not pass away. This morning [29 November 2015] is the First Sunday of Advent, the beginning of the new Church Year. 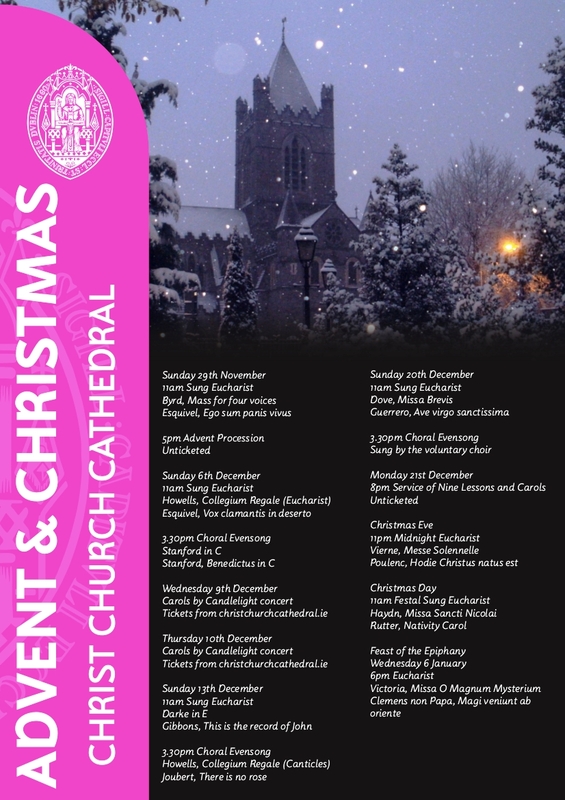 I am preaching at the Sung Eucharist in Christ Church Cathedral at 11 a.m. this morning, and as the canon-in-residence this week I am hoping to take part in the Advent Procession in the cathedral at 5 p.m. this evening. Over the next few weeks, as we journey towards Christmas, I invite you to join me in my own Advent Calendar. Each morning, for a few, brief moments I am reflecting on the meaning of Advent through the words of the great German theologian and martyr, Dietrich Bonhoeffer (1906-1945). Advent reminds us that “misery, sorrow, poverty, loneliness, helplessness, and guilt mean something quite different in the eyes of God than according to human judgment; that God turns toward the very places from which humans turn away; that Christ was born in a stable because there was no room for him in the inn – a prisoner grasps this better than others. And for them, this is truly good news.” – Dietrich Bonhoeffer, Works, vol. 8, Letters and Papers from Prison (Fortress, 2010), pp 224-226. Readings (Revised Common Lectionary): Jeremiah 33: 14-16; Psalm 25: 1-10; I Thessalonians 3: 9-13; Luke 21: 25-36. There have been strong winds and heavy rains across the east coast since last night, and winter darkness seemed to take a grip on the day from late morning on. But winter holds its own promise too, Advent begins tomorrow [29 November 2015] and Christmas Day is less than four weeks away. I am preaching in Christ Church Cathedral at the Sung Eucharist at 11 a.m. tomorrow morning, and taking part in the Advent Procession at 5 p.m. tomorrow afternoon. This afternoon, as dark descended, despite the cold and wet weather, I decided to go for a walk on the beach in Skerries and a walk around the harbour. Before going down to beach, I stopped in Gerry’s for the Skerries News, edited by David Diebold, The Economist and the New Statesman, good reading later for a cold winter evening on my own. It was so dark on the beach it was difficult to see the sand beneath me or to see out to the shoreline and the waves, even though I could hear them in the distance. Eventually, I got to the harbour, where I walked the length of the pier. The fishing boats were tied to each other and up against the pier wall, and in the mellow lights of the evening it was almost possible to imagine that they were suspended in the air above the harbour basin in the mellow lights of the evening. Christmas lights are already decorating the trees on Strand Street in Skerries. As I headed home in the dark of the winter evening, I was looking forward to Advent Sunday, the Season of Advent and our preparation for the season of Christmas. I am seldom happy about my photographs being used for commercial or political purposes, although I am happy to see them used by educational and faith-based organisations, even when I do share their approach or particular point of view. It is also a pleasure when publishers ask for permission to use my photographs, although I always ask for an acknowledgement and also ask for a printed version if practicable. Earlier this week I received a request from MetaKave Publications, a publishing house based in Dhaka, Bangladesh. The publishers are preparing a new book, Cambridge: Look Back in Love, by Professor M. Harunur Rashid, based on his memories of studying in Cambridge, where he studied in Fitzwilliam College. He has been a Professor of English literature and language, a university administrator, a newspaper editor at the Dhaka Courier, and has translated modern poetry and prose in Bangladesh. He is also a noted writer on Sufism and Sufi literature and a commentator on social, political, and cultural life and literary texts. The publishers want to use a photograph I took last year of Robinson Crusoe Island, a tiny islet in Cambridge where the River Cam splits between Coe Fen and Sheep’s Green. I have visited Robinson Crusoe Island in Cambridge a number of times, and this photograph was taken on 9 September 2014 during an afternoon break while I was staying in Sidney Sussex College during the annual summer conference organised by the Institute for Orthodox Christian Studies (IOCS). Robinson Crusoe Island is a tiny islet in the River Cam, between Coe Fen to the east and Sheep’s Green to the west, on a point on the river south of the weir where Scurdamore’s Punts are moored at Silver Street Bridge and immediately north of the Fen Causeway. Coe Fen is known beyond Anglicanism as the name the tune composed by Ken Naylor for the hymn How shall I sing that majesty. Naylor was the music master at the Leys School, at the corner of Trumpington Street and the Fen Causeway, and named his tune after Coe Fen, the open space beside the school. Coe Fen on the east bank of the Cam and Sheep’s Green on the west bank form a natural area that was once important for commercial activity in Cambridge. There was many watermills her, but because the land between the artificially raised banks of the watercourses was liable to flooding it was only suitable for grazing. Cows grazed on one side of the river on Coe Fen and sheep on the other side, Sheep’s Green, and so they have been named. By the 19th century, the Fen had become so marshy and boggy that it became necessary to drain it as a measure to prevent the outbreak and spread of diseases. A public subscription in 1833 raised £150 to drain the Fen, and later, in 1912-1914, the level of the Fen was raised by dumping rubbish on it. On that late afternoon last year, I walked down Trumpington Street to the Leys School, and turned along the Fen Causeway. The Fen Causeway Bridge opened in 1926, and I am told it is sometimes called the Lesbian Bridge because of the graffiti sometimes written on its underside. Instead of checking this out, I joined a footpath south into Coe Fen, where the land is a semi-natural area and cattle still graze. I walked south until the path meets Vicar’s Brook and then turned west and crossed a narrow bridge that took me onto Sheep’s Green, a small island formed by the way the river has split further north at the weir at Silver Street Bridge. Sheep’s Green Bridge is a second narrow bridge that was rebuilt in 2006. Here pedestrians and cyclists jostle to give way to each other, and the bridge led me onto Lammas Land, a town park, with a small open air pool for children and a playground. Lammas was observed on 1 August in England as a harvest festival when loaves of bread were made from the first ripe corn. Areas of green designated as Lammas lands in law were common land for nine months of the year, but passed to the sole use of their owners for the other three months on Lammas. To the south of Lammas Land is the aptly-named Paradise, a nature reserve and woodland with a central marsh area, wet woodland and a number of riverside mature willows. I walked back north along Lammas Land and walked east along the Fen Causeway for a brief distance, and then turned to the north side of Coe Fen, where I found the bridge that crosses Robinson Crusoe Island to my left or the west. Crusoe Bridge, which was built in 1898-1899, is a steel footbridge with timber deck and supported on four cast-iron columns. This is the final bridge on the “Upper River” before it reaches the small weir at the mill pond. Robinson Crusoe Island was once known as Swan’s Nest, but the present name has been in use for more than a century. The land is deceptive in places here, and many apparently dry channels running through the grass are filled with marshy water, often filled with reeds and damp growth. These channels date back to the time when this area had many mills grinding corn for Cambridge. I crossed Robinson Crusoe Island and the bridge, and enjoyed the spectacle of people enjoying the late summer sunshine in kayaks and punts. But the old boathouse that has been on Robinson Crusoe Island was closed and fenced off, and difficult to see. Coe Fen and Sheep’s Green are important thoroughfares for cyclists and pedestrians, particularly between the city centre and Newnham, and part of the pathway along the river out towards Grantchester runs through this space. The river was still busy with tourists and punts that afternoon. I walked on north to the weir and stopped at the Anchor at Silver Street Bridge for a glass of wine. There I sat watching the bustle at the pubs and the punting station at Scudamore’s before returning to the bustle of academic life at Sidney Sussex College.